Sangoma offers a full line of IP Phones ranging from entry level to enterprise, offering advanced features and tight integration with FreePBX and PBXact. Today we’re excited to announce an addition to the family…the s400. The Sangoma s400 IP Phone sits in between our s300 & s500, and is perfect for the light user who still wants access to powerful phone applications. Every phone in the s-series also features Zero Touch Provisioning via Sangoma’s Redirection Server. This means your phone will quickly locate your FreePBX or PBXact system, and easily get full configuration right out of the box. You won’t have to worry about installing anything or manually configuring hundreds of extensions. The EndPoint Manager module is also enabled automatically inside your PBX system. This lets your users control global settings, program their phone keys, map extensions, upload images, download new firmware and much more. On top of all that, the s400 features a built-in VPN client for increased security, 5-way conferencing and is EHS module / headset compatible. Large quantities of the new s400 are expected to be available early March. For more information, talk to one of our Sangoma Sales Representatives or visit the Sangoma IP Phones Product Page. Please also join us in our excitement on Tuesday, January 31st as we host 3 webinar sessions to launch the s400. Two sessions will be held in English and one in Spanish! Register now! Andrew, do they support Opus? If not, can a future firmware upgrade enable it or the hardware just can't be made to support Opus? I wish Sangoma was more willing to talk about its hardware. We all know they are identical to the Yealinks in looks. Are they any different under the hood? 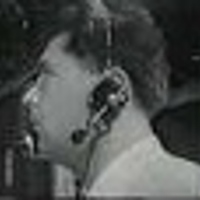 On the Yealink T46g I have experienced issues with the mic (both in the handset and the handsfree) and also a "buzzing earpiece" issue. I hope Sangoma have managed to avoid these design/hardware issues. If Sangoma keeps quiet we all assume the hardware is exactly the same. There is a lot to be gained if you tell us your phones have better engineered hardware, QA and software (unless that is not the case). Last but not least, the s700 is a fantastic phone for small offices where you can have the entire staff on those BLF keys. I love it for this single feature. Sangoma could up the game a bit by making the screen of the s700 with a narrower bezel, increase screen size and add 2-3 BLF keys to each side (but not like the t49g, no touchscreens please). And instead of using a BLF key to change pages, I would go with dedicated arrow right/left buttons. Nice to have: built-in wifi, built-in Bluetooth so that calls to cellphone could be picked on the deskphone and the other way around, support for Google Contacts (the phone could load the contacts from Google Cloud), some proprietary cloud integration so that I could access from an app on my smartphone things like the phone call history, address book, set call forward/follow-me, record a vacation message, etc. If Sangoma keeps quiet we all assume the hardware is exactly the same. All I can tell you is that we have no relationship with Yealink in terms of our phones. We do not OEM through them nor do we partner with them. We are not part of their OEM program and we are not part of their rebranding program. We do not share hardware or resources and we are not in contact (besides for Endpoint Manager Certification) with their hardware engineers or software engineers. We have stated this multiple times in other places. I will let others chime in on the features you asked about. The s500 has been the real winner for us. Having the gigabit port is a must. The s400 has 10/00 which I understand was a decision that was made to keep it at an attractive price point. Well done on the lineup. I look forward to seeing what else Sangoma releases in the future. I will keep this short as I am on vacation but anytime this have been asked we have replied here. 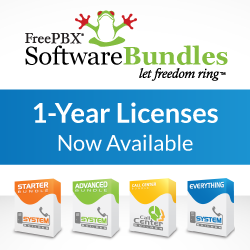 Also you can open up any feature or bug reports for free at issues.freepbx.org under the phone project. To answer a few of the glaring ones. No Opus is not supported yet. It's a hardware limitation right now that will be addressed with some changes in the s500 and s700 phones. Also at this time FreePBX only supports opus with asterisk 14 which is no where near stable yet so we have a little time. We had made numerous software improvements and we have had no complaints on speakerphone issues and actually get praises from users so not sure what your exact issue is but feel free to provide feedback on our issue tracker. Again never heard of buzzing issues and looking in our issue tracker only 1 report of it and it was in a single phone that had a defect and was replaced under warranty. I suggest again get on the latest firmware and if you have a buzzing issue open a report on this. We already support 5 pages of buttons not 3 and have never supported only 3. Also we support akrwdy using the left right arrow keys to scroll. As a publically traded company we above alot of rules that keep us from disclosing things unlike private companies.